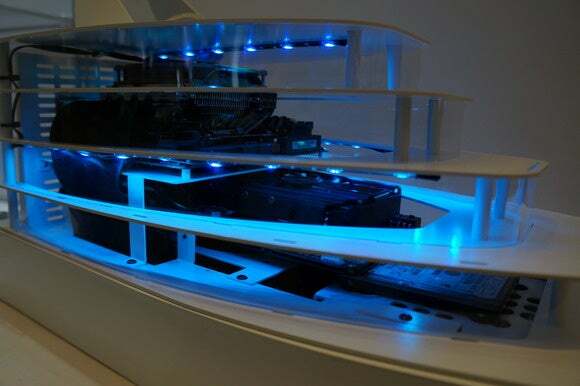 Lian Li showed off a PC case that looks like a cruise ship and one that doubles as an adjustable-height standing desk. 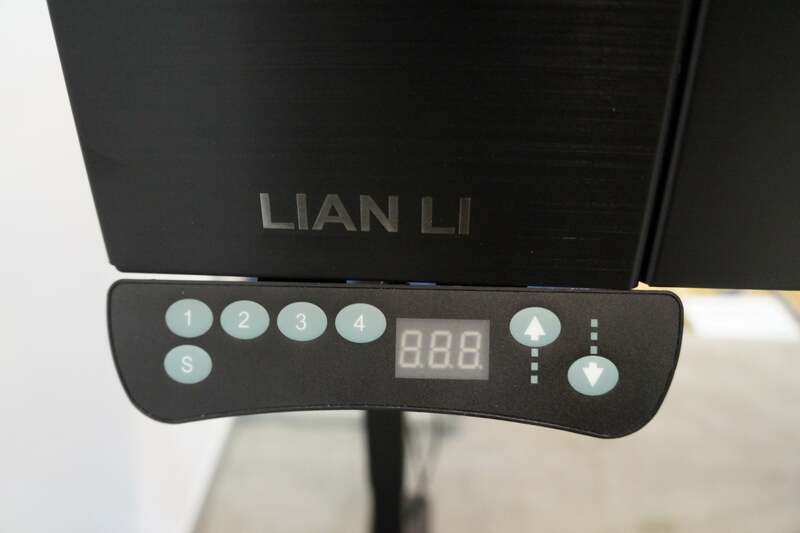 Lian Li is famous for crafting audacious cases for major trade events, and it didn’t disappoint at CES 2016. 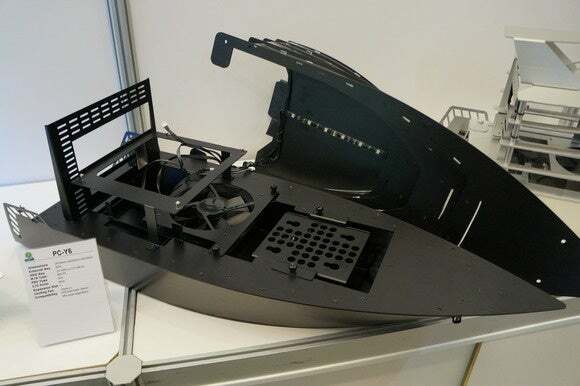 The company had not one, but two unique chassis on display: One is a height-adjustable standing desk that doubles as your PC case, and the other is shaped like a cruise ship. The cruise ship, formally dubbed the PC-Y6, follows in the footsteps of Lian Li’s previous spider-, seashell-, and train-themed cases. It’s limited to mITX builds with a small form factor power supply and a graphics card up to 300mm in length—but hey, it’s shaped like a damned cruise ship, and that’s cool! 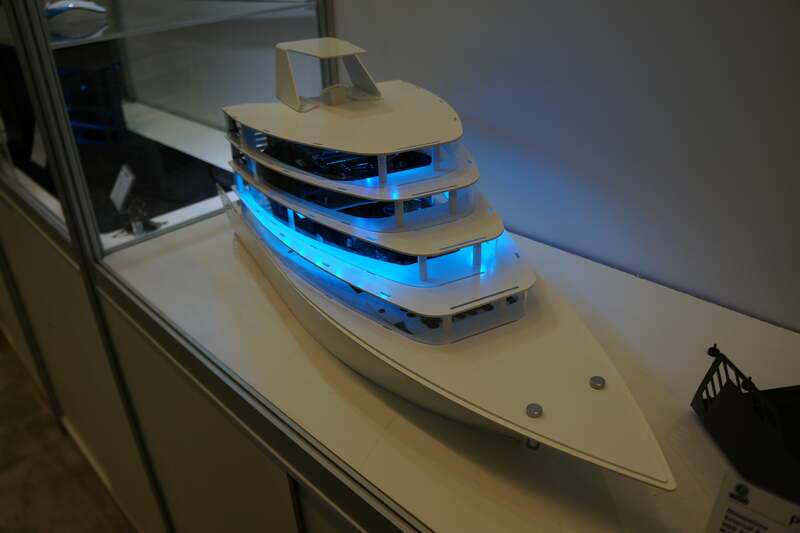 A representative told me the final version will feature port windows in the currently solid body of the ship to allow for better airflow. 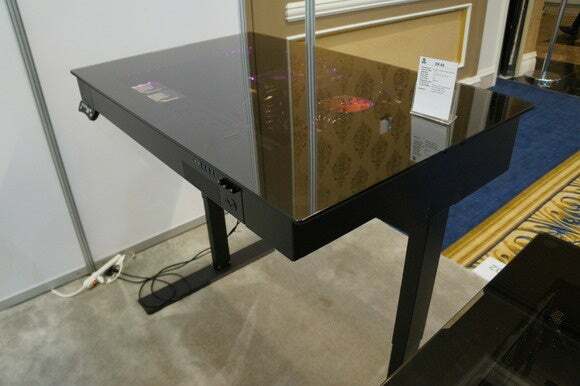 The sizeable DK-04 standing PC desk, on the other hand, is spacious enough to fit longer 320mm graphics cards, as well as third-party CPU coolers up to 120mm tall. The DK-04 offers a more refined design than previous Lian Li PC desk models, as I explain in the video above, but the real stars of the show here are the adjustable height controls. You’re able to slowly send the desk rising all the way up to 44.8 inches high if you so desire, using up and down arrows. You can save four separate height presets as well, to send the desk shooting back to a preferred height with the push of a single button. The DK-04's digital height controls. 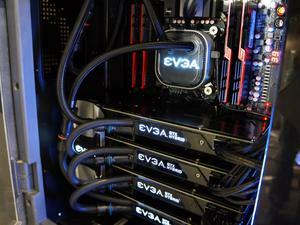 So how’s Lian Li able to offer all these funky cases without going bankrupt? A company representative admitted that they aren’t major sellers—they’re very specialized, and designed for very niche audiences. It’s because Lian Li owns its own factory, so it doesn’t have to place minimum or advance orders with a third party. For wacky designs like the PC-Y6 and DK-04, Lian Li can simply wait for orders to roll in, then fabricate them on demand—and for a profit.